Let me introduce myself. 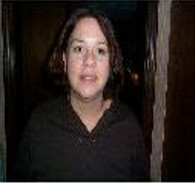 My name is Glenna Godown and I have lived in the Walworth area for 30 years. My love of animals started at a young age as my family had hunting dogs that were friends of the family. I have owned dogs since I have had my own family. In 1989 I started grooming dogs and my interests soon spread to the obedience and the good health of our canine friends. During this time I took seminars on the health of dogs and accompanied my friends to their obedience classes to help me better understand the behavior of dogs. 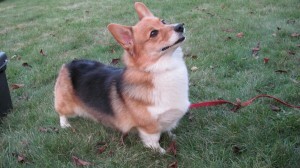 After searching a long time, I received my first Pembroke Welsh Corgi in 1992 and began to formally obedience train my corgi and subsequently all other corgis that came into our household. I joined a local kennel club and began helping out at beginner classes and found how much I enjoyed sharing my knowledge of dogs with others. In 1999 I was offered a job with a local Guide dog school. One of my duties was to train people, to obedience train their puppies, which they fostered for the guide school program until they were of age to go into formal harness training. During my 5 years with the program I had the unique opportunity to learn from people training guide dogs. One of the experiences that I enjoyed most was learning from people of other countries. I acquired and broaden by techniques in obedience and how to create a great family canine companion during this time. The fall of 2005 brought changes and the guide dog school that I worked for dissolved. The decision to start classes for the public was an easy one. I enjoy sharing my knowledge in combination with all of my obedience training I have received. Helping others with their canine friends to become a great family member is a great joy. Since the start of our classes in 2005, many of our dog teams have earned their Therapy Dog title and Canine Good Citizen. Some of our students have started to compete in Obedience and Rally-Obedience events. Several of our students have been awarded titles, others have earned Therapy Dog certifications and are now taking their dogs to local schools to help children read and participate in other great experiences.